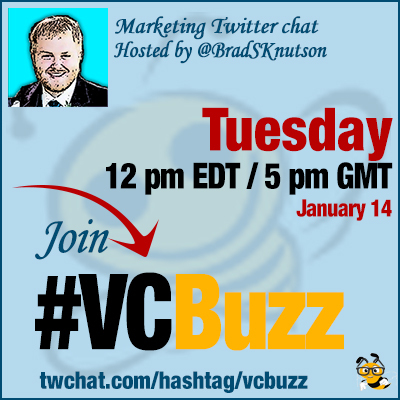 Starting from this week every Tuesday we’ll meet at our #VCBuzz chat to discuss various content marketing topics. Each week we’ll invite a new guest to share his/her favorite content marketing tricks, answer our questions and let us learn from us! Don’t forget to take part in our contest! Welcome our first guest, @BradSKnutson, one of the most successful users of our young and promising platform. I have shared Brad’s December success in this post listing VCB most shared projects of the past month. Brad is a St. Paul, Minnesota based digital marketer with a background in development. He enjoys writing about web design, marketing, social media, and much more. He spends most of his time helping small businesses get the most out of their marketing budgets. Q1 What are the components of a good how-to article? I try to write my “how-to” articles with the beginner in mind. My goal is to make complicated procedures seem easier by looking at them differently. I’m a big advocate of screen shots, as most people are visual learners. A good “how-to” article has enough visuals and actionable content that the reader doesn’t get bored. If the reader isn’t able to complete my “how-to” after reading it, I feel like I’ve failed. I also think that responding to questions in the comments is important to make sure my readers understand the tutorial. Q2 When and why did you decide to start the blog? Q3 Where do you find inspiration for your content. This one is simply genius! Q4 You use screenshots brilliantly! Are there any tools you use to create screenshots? Ah, screenshots, my favorite! 🙂 I’m a big supporter of free and open-source, so I actually use Paint.NET for windows to edit my screenshots. No creative suite for me! I’ve used video in the past, but expanding my video how-to portfolio is definitely something I’m looking to do in 2014. I’m still evolving as a writer. I don’t have an extensive editorial process, and I can honestly say I’ve published a lot of content in the past with typos (embarrassing, I know). At this point I publish content when I’m happy with the end result. Q7 Your site icons and navigation are fun to use. Do you have the tutorials for creating those fun affects? Of course! 🙂 The site navigation is a combination of this post and this post, the logo animation is explained in this post, and the social icons are explained in this post. It can get a little confusing, so anyone is welcome to ask any questions and I’ll do my best to help out. Q8 What’s the best social media network to promote a how-to article / tutorial? It depends on the type of content your how-to article is written about. Things like crafts, recipes, and DIY how-tos should be posted on Pinterest. For techy stuff like web development and marketing I’ve had the best results on Google+, as it provides me with ample space to let potential readers know what my post is about. Q9 Which are your favorite social media networks for content marketing? My favorite is Twitter, and it easily drives the most traffic to my content. Just one tweet from a highly influential user can send hundreds of visitors to a site. I’ve also been making a big push on Google+, and have been seeing some great results. 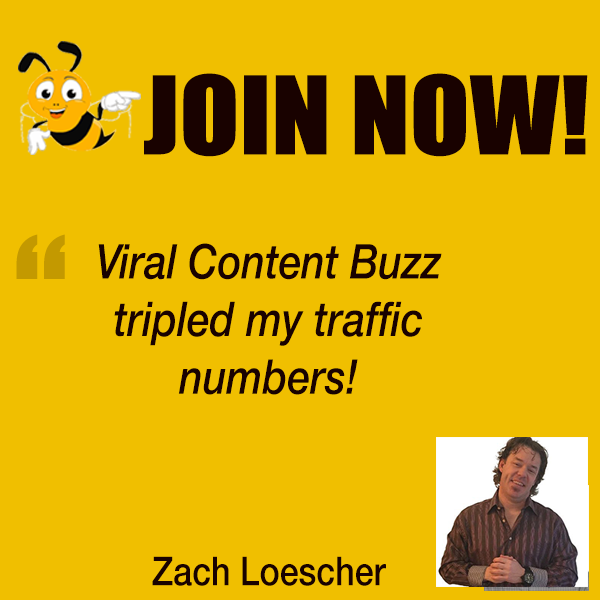 Q10 When did you start using ViralContentBuzz? How did you find us? I’m not sure if I remember how I found VCB, but I have a faint memory of reading a blog post Amanda DiSilvestro (@ADiSilvestro) wrote and thinking VCB looked like a great place to boost my social media efforts. I have to say, regardless of how I found VCB, it’s been a great tool and one I recommend to everyone. In case you are bored… here’s the video summary too! Next week, same time, we’ll have Ivana Zuber aka Bloggless share her secrets. Check out Ivana’s review of ViralContentBuzz! I had a great time, thanks for having me! Thanks, Brad, you were awesome!